PREVIOUSLY ON ADMP: We introduced on this very blog, our ‘Deep learning’ serie on #Blockchain’s Iron Ladies. Little did we know that we could find a real gem, within the glocal ‘ChainTecH’ Ecosystem, that could be part of the #FrenchtecH and ChinaTecH space, at the same time! => Give it up to a truly Fierce Iron Lady, with all her ‘thirty-six chambers of complexity’… <..> She is of Chinese background, and works in France for a project on the Blockchain with a rich and non-conventional career path: It started in mainland China, behind the ‘Golden shield’, and carries on to the western end of the OBOR pathway (China’s ‘One belt, one road’ initiative), in Paris, the last romantic city. She is a ‘total’ trilingual but will play her game, the ‘Thatcher way’ in english: SOoo…let’s get ready to rumble, Miss Ranting Wang !!! 1.#ADMP AWARDS : We are happy to open our series of interview dedicated to ‘showcasing glocal tech & Blockchain female talents’: Can you please introduce yourself ? Your Academic and professional background? Ranting Wang : Yes, and I thank you again, for inviting me. I was studying @ Grenoble Ecole de Management for my Master in management, in the department of marketing and marketing research. I just graduated in January. After graduation I pursued my dream of a career as a marketer, so I moved to Paris and started working for NeoPlace.io. 2.#ADMP AWARDS: Cool!…That’s for the academics stuff…what about ‘In Real Life’? and China? RW: I’m getting there! Prior to that, I was studying in China, my country of origin, at Dongbei University of Finance and Economics, where I built my first experience in social research and analysis. Speaking of working experience, I worked in one of the ‘BIG FOUR’ banks in china, in the customer relations department, and then in a French e-commerce website (spartoo.com) as a marketing and communication professional. 3.#ADMP AWARDS: #Impressive! You are a ‘drone’: You ‘Digitally’ observe and work above the community! You now work for the Neoplace Startup; Within the much talked-about, ‘Blockchain Ecosystem’! – Can you tell us, what is Neoplace, working on exactly ? And what does it do ? RW: Of course, NeoPlace.io is building a blockchain-based protocol to facilitate cross-border e-commerce activities. A protocol is a software that operates directly with the Blockchain and connects any App to it. With the help of this protocol, we greatly reduce the problems traditional e-commerce activities cause nowadays, such as high platform fees, fake profiles and forged product reviews, unsecured transactions and slow seller & buyer communication, etc. 4. #ADMP AWARDS: Allow us to ‘translate’ that to our readers, please: ‘The blockchain protocol built by #Neoplace, should enable and facilitate the E-commerce platform management.’ If ADMP ‘gets’ it right. RIGHT? RIGHT! – What sort of benefits does Neoplace bring to the wider Chaintech community? RW: I’m getting there…:)) – Besides all of that, NeoPlace protocol also brings considerable benefits to the community. with the help of NeoPlace API, SDK (or Software Development Kit) and NeoPlace builder, we can be every seller’s ‘whitelabel’ e-shop or marketplace, running on the blockchain in a few clicks. 5.#ADMP AWARDS: You meant that ‘Neoplace could build 21st century on-demand blockchain platforms, for any E-commerce – Check out ADMP E+Commerce, Facebook group) – or market-place, right?’Right! – What is the ‘clear-cut’ benefit to the sellers, then? RW: Sellers can then focus on promoting their products world-wide, and will be accessing a pooled inventory with other sellers and greatly benefit from increased transparency, cyber protection and freedom to do their business. 6.#ADMP: We couldn’t agree with you, more! ==> ‘Pooled inventory’ should not only provide a business network, a support, help and training community for the ‘new business’; but also help prevent ‘double-booking’ as we know, in the Hotel, accommodation, and airline industries, for example. Cyber and data protection are key aspects of any E-commerce setup. For the user and the sellers! In the end, and after observing current trends within the ‘Chaintech’ Ecosystem: For Neoplace, developing in the coming months, an Ecosystem that could provide back-office support (Cloud storage, Email, Ads, marketing, Tax management, GDPR compliance, etc..) will be paramount, ! 7.#ADMP: As always, ADMPers, with this type of platform, first, the value is as much in the technology, as it is with the ‘smart community’ acting in its core! Second, ‘smart interaction between peoples’, often means ‘gamification’. And, if there’s is a GAME at play! –> Then: ‘Bring on ‘Game theory’. #ADMP: ⇒ Taking another game theory analogy, the new player has to find and interact with ‘older players’ that play the ‘platform game and rules’ the ‘right way’. – The ‘Digital inception‘, in Social Media utilizes similar processes, when building #OSM, ‘Online Smart Communities’, like ADMP, for example. How Neoplace will implement that strategy, or any other, deploy it on Social Media and within its platform, in the coming months, will be interesting to watch! So, the Neoplace concept, seems quite innovative enough, with obvious potential for rapid growth, thanks to your E-Commerce/Market-place bias. RW: interesting, isn’t it ? #ADMP: You must enjoy working there? 8.#ADMP AWARDS: Can you tell us about your work and what is your expertise in this company? Take us through the ‘Everyday Ranting Wang’ and lead us down the ‘rabbit-hole’ (#SavePangolinS) of how she handles what is still a male-dominated Ecosystem? 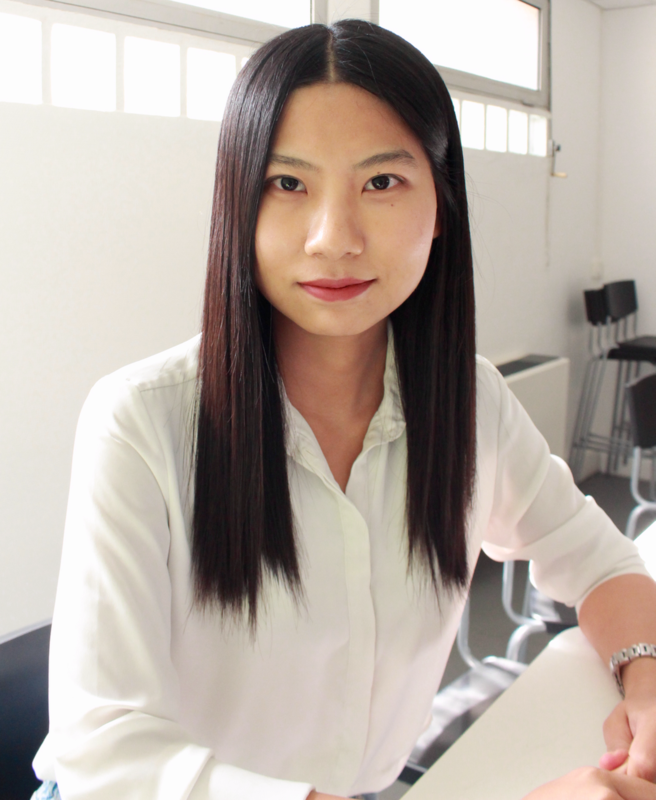 NEXT WEEK: The follow-up (PART 2/2) to this fascinating interview with our #Blockchain ‘Iron Lady’ Ranting Wang of #Neoplace! Do you know of her work. ?